Wanted -- Your Awesome Photos! If you have photos of Pack or Den events, we'd love for you to share them! 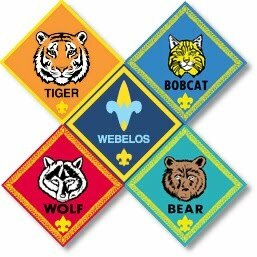 Photos can be emailed to the webmaster (webmaster.pack121nwa@gmail.com), shared on our Pack 121 Facebook Group (https://www.facebook.com/groups/pack121nwa/), or uploaded directly to our Google Drive (instructions follow). Photos you choose to share with us may be posted to our pack website or to our Facebook page, but we will NEVER include any personal information whatsoever--not even a first name. These photos are strictly intended for the enjoyment of Pack 121 members, families, and friends. We also produce an annual end-of-year movie that chronicles all of our Scouting adventures for the year, and your pictures could very well be featured in this! Check out last year's movie by clicking HERE! 1. If you do not have a Google/Gmail account, you'll need to create one. Visit https://accounts.google.com/SignUp to create an account. Don't want to create a new Gmail address? You can create a Google account with your existing email address by clicking on this link: https://accounts.google.com/signupwithoutgmail. If you see two folders, click on the one that is labeled "2014-2015"
Note: If it gives you a screen asking you to download a program to your computer, you may choose the option to skip this, if you like. It is not necessary to download anything to complete this procedure. Click the blue button at the top right corner of the page. If you aren't signed into Google, it will say "Sign In"; after you click it, you will be given the chance to sign in (or create a new account if you haven't already made one). If you do already have an account and are signed into it, the blue button will say "Add to Drive". Click it--this will connect the portion of our Drive that we have shared out to members of the Pack to your own Google account. You may also see a button that says "Open in Drive". If so, click it. This is a listing of all of the file folders, named by category or event. This is to help us keep the photos organized. Choose the appropriate category or event and the folder should open for you. Be sure to click on the name, not the check-box. You should now be inside the category/event folder that you chose. This example shows the "Blue and Gold" folder. To upload your picture(s), click the smaller, square-shaped red button immediately to the right of the one that says "Create". If you have individual pictures to upload, select "Files" from the menu that appears. If you have an entire folder of pictures to upload, select "Folder". You'll then see a box where you can choose pictures from your computer to upload. You can select multiple pictures by holding the "Ctrl" key and clicking on the ones you want to share. Once you've selected all of the pictures, click "open" at the bottom right corner of the box. Depending on how many pictures you selected and your internet speed, it may take a few seconds up to a minute or so for the upload to complete. If the upload is successful, you should see your photos listed in the folder! If you ever have any trouble or need an alternative way to share your pictures, don't hesitate to contact the webmaster!